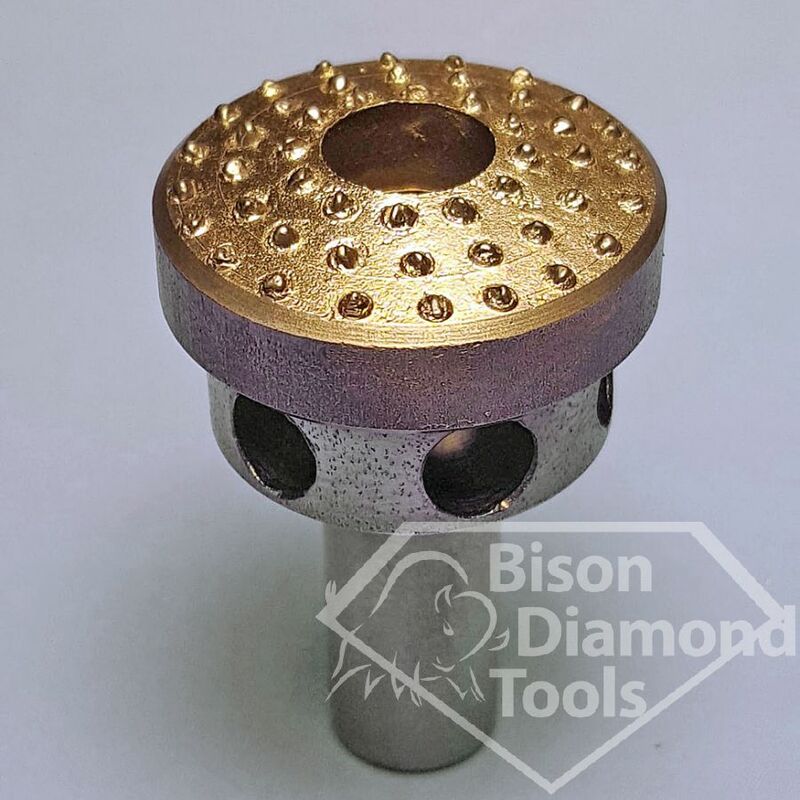 A heavy duty, Single-layer tool designed for straight-faces dressing on large, coarse-grit grinding wheels. Forty-eight diamonds set on the face at a 15 degree angle. 7/16” x 1” shank.